In Tibetan language, Lulang means ‘Loong Ling Valley’, in another word, it means a place that will make you forget your home. It locates 80 km from Nyingchi County, and alongside of the Sichuan-Tibet Highway. Tourists find that it is one of the best places to watch the Namjagbarwa (the highest peak in Nyingchi, about 7,782m). 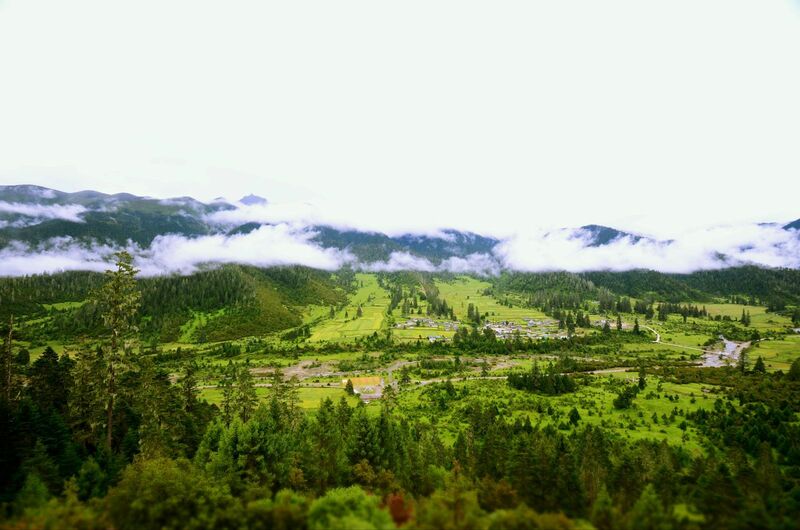 Lulang Forest is a typical Plateau-mountain-meadow, with an elevation of 3,700 meters. Each season, it has different breathtaking view. In winter, you can observe the snows laying on the mountain and glaciers. In spring, the forest attracts swarms of birds. And in summer, the golden wheat is dancing with fresh breezes. Not to mention in autumn, all the leaves turns yellow, red, of course except the evergreen pines. 1. Bring your waterproof clothes, medicines and sleeping bags. 2. The Admission Fee is 60 RMB.